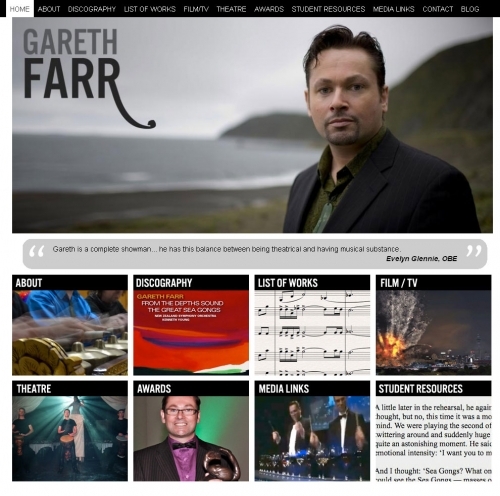 Gareth Farr is one of New Zealand’s most prolific and respected composers. His recent works include the Rugby World Cup 2011 theme, the soundtrack to Vula, the NZ Ballet’s “The Wedding”, the music for the opening of Te Papa, composition for the 2000 Olympic games, and many more. Farr’s music is particularly influenced by his extensive study of percussion, both Western and non-Western. Rhythmic elements of his compositions can be linked to the complex and exciting rhythms of Rarotongan log drum ensembles, Balinese gamelan and other percussion music of the Pacific Rim. Gareth is a NZ Arts Laureate (2010), an Officer of the Order of New Zealand Merit (2006), and three-time Chapman Tripp Theatre Award winner.